In the past few years, my most excellent fortune has been to visit a variety of eco-lodges in the Neotropics. Most of these destinations have been absolutely fantastic yet still slightly… rough. Perhaps rustic would be a better descriptor for some, or homey or even, if I may be so bold as to introduce a new term to the traveler’s lexicon, eco-spare. But my recent journey to Jamaica has acquainted me with the upper echelons of ecologically-conscious accomodations; Hotel Mocking Bird Hill in Port Antonio is nothing less than eco-luxe. I should disclose that I was in Jamaica as a guest of Shireen Aga and Barbara Walker, the gracious proprietors of this green slice of Caribbean paradise. My brief as it were was to write about the quality of Jamaican birding, mostly that in the northeastern corner of the island. Ecclesdown Road, the Blue Mountains, and the Rio Grande Valley all boast abundant avian charms but some of the best birds of my trip were found right on the grounds of Hotel Mocking Bird Hill. Before I get into the birds, allow me to expound on the other attributes of what Shireen and Barbara describe as “a romantic 10-room, eco-chic hideaway nestled in 6½ acres of lush organic tropical gardens and trees on a hillside outside Port Antonio.” Hotel Mocking Bird Hill is impeccably appointed, tastefully decorated (Barbara’s artwork is outstanding), and imbued with a rare and welcome spirit of hospitality. Seriously, this place is amazing! I loved every bit of it from the new tower erected to facilitate birding to the meandering tropical gardens. The complimentary Sundowner cocktails before dinner didn’t hurt either. Most important, at least to a foodie like me, the cuisine at Mille Fleurs, the hotel restaurant, is nothing less than gourmet. Some of the locally sourced, organic Caribbean-Continental dishes, like the deceptively simple Coconut and Garlic Soup, left me speechless with delight. At Mocking Bird Hill, nature is always near. The rooms are cooled through natural cross-breezes, essentially open to the air though thankfully not the volatile elements. This ingenious, ecologically sound set-up facilitates innocuous, if not entertaining interactions with local fauna like the gecko in my juice glass. As a bonus, one is serenaded to sleep by the chirping of tree frogs. 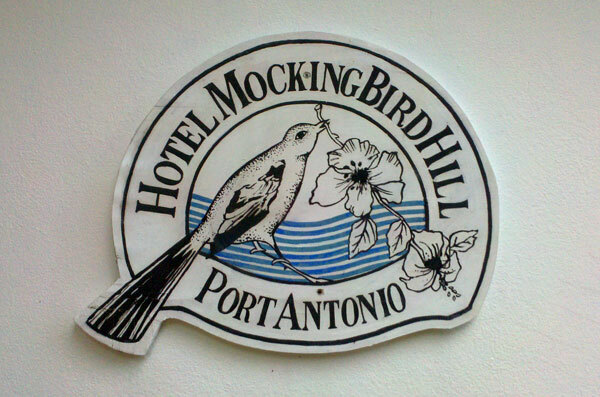 Hotel Mocking Bird Hill has a well deserved reputation as a hotspot for birds, particularly hummingbirds. This site is stupendous for Doctorbirds, the streamer tail species celebrated as Jamaica’s national birds. 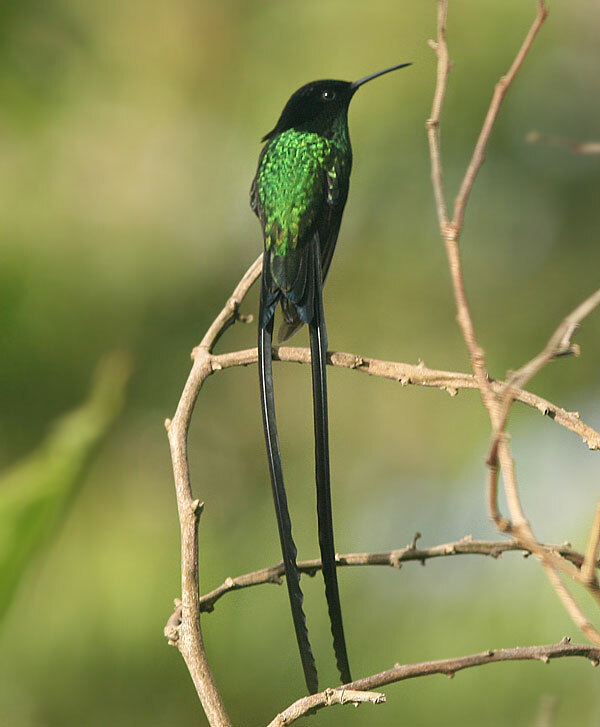 The Black-billed Streamertail is unique to the island’s eastern end and absolutely abundant on the hotel grounds. This is one of the most impressive hummingbirds around with a pair of ribbon-like retrices much longer than the bird’s emerald body. 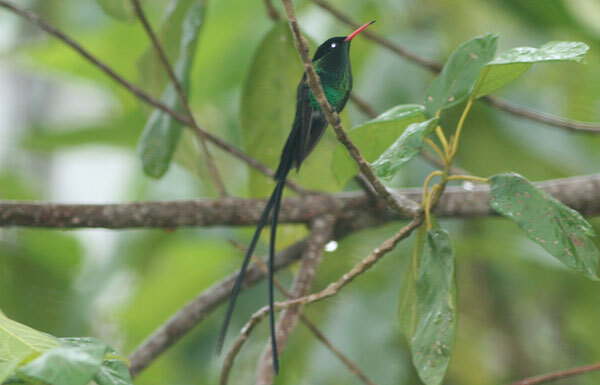 I was amazed to find Red-billed Streamertails on the premises as well. Spotting Vervain Hummingbird, the world’s second smallest hummer, put me 3 for 4 for the island list. Try as I might, I could not track down Jamaican Mango, which is somewhat surprising since the president of BirdLife Jamaica told me that he considers a certain tree, one you’ll get to know well if you visit here, the absolutely most reliable place on the island to see the mango. Maybe next time! Hummingbirds were hardly the only endemics I spotted at Hotel Mocking Bird Hill. 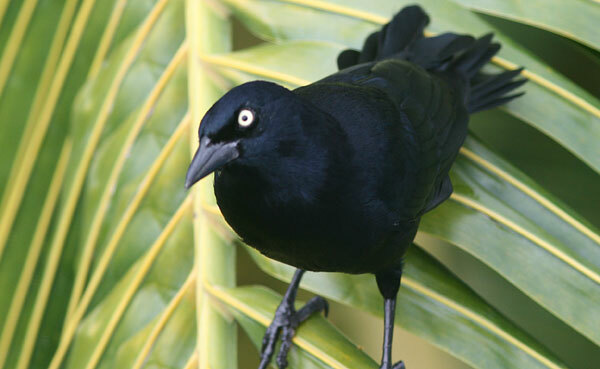 In fact, visitors have a shot at spotting a significant number of Jamaica’s 30 extant endemics. 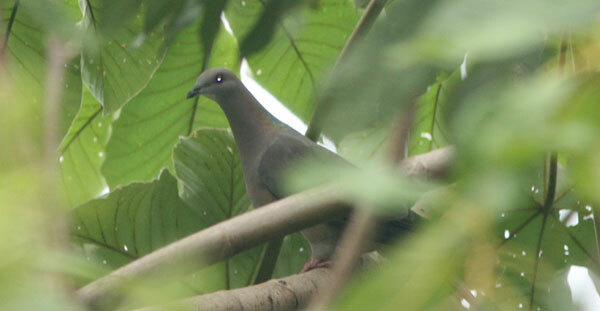 During my all-too-brief stay, I observed Ring-tailed Pigeon, Jamaican Woodpecker, Jamaican Elaenia, White-chinned Thrush, Arrow-headed Warbler, Jamaican Euphonia, Jamaican Spindalis, Orangequit, and Jamaican Oriole on site. The Olive-throated Parakeet, which may someday be split into separate Jamaican and Aztec Parakeets, is another easily seen (and heard) avian resident. 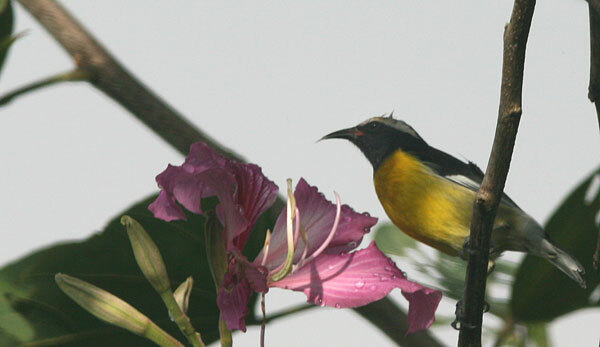 Jamaica shares plenty of birds, like Bananaquits, Greater Antillean Grackles, White-crowned Pigeons, and Loggerhead Kingbirds, with the rest of the Caribbean. All three of these species are abundant at the hotel. Of course, no Neotropical paradise would be complete without Neotropical migrants! Faces familiar to North American eyes included warblers like Black-throated Blue, Prairie, Northern Parula, Common Yellowthroat, and American Redstart. 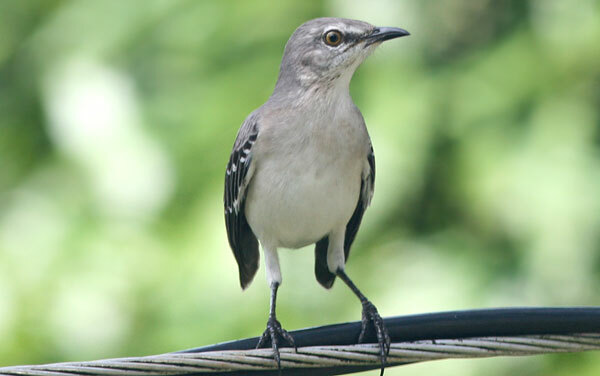 Last but not least, the area is, as one would expect, home to plenty of Northern Mockingbirds. Hotel Mocking Bird Hill is undoubtedly one of the finest lodges I’ve had the pleasure to visit. It is also one of the most sustainably-operated. Barbara and Shireen’s commitment to the smallest carbon footprint possible is unimpeachable. I saw the solar panels that, if I recall correctly, powered my room. I visited (and birded) the compost heap. 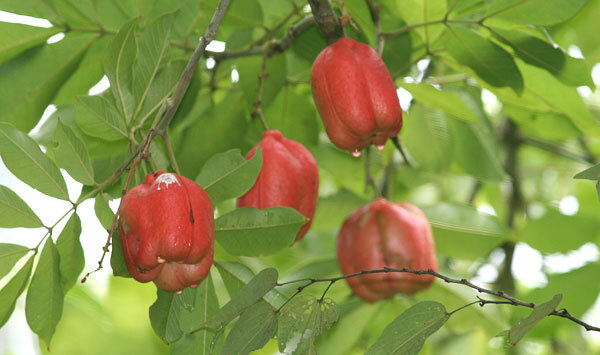 I ate ackee in a delicious Jamaican breakfast that very well may have come from one of the many fruiting trees. Setting aside the uncomfortable fact that air travel powers Jamaican tourism (which in turn primarily powers Jamaica), staying at Hotel Mocking Bird Hill is probably as close to a guilt-free experience as one might find on the island! I’ve given much thought to how I might recommend Mocking Bird Hill to birders. After all, even Jamaica, with the highest number of endemic species in the Caribbean, can’t compete with neighboring Latin America in terms of sheer number of species. Unless you’re as infatuated with Caribbean birding as I am, you may not see the merit in a birding trip to an island better known for resorts and reggae. But Hotel Mocking Bird Hill offers something that no other eco-lodge I’ve visited can match: unequivocal luxury. The long ride from Kingston may be rough (the road system in Jamaica is a shambles) but the rest of your stay will be as smooth as silk. Listers may have to sacrifice quantity for quality in terms of life birds but a trip based out of Mocking Bird Hill will be one that spouses and partners will fully enjoy, even while the owners cater to the admittedly specific needs of birders. Isn’t that the kind of eco-luxe birding experience you’ve been looking for?